With Mother's Day just around the corner, I wanted to create something special to celebrate one of the coolest ladies I know–my grandmother! We share a passion for textiles and sewing so when she showed me one of her vintage machines, I thought a photograph of it would be really interesting printed on fabric. A sewing machine cover has been on my to-sew list for a while, so I put two and two together and voilà– a custom sewing machine cover featuring my grandma's vintage machine! 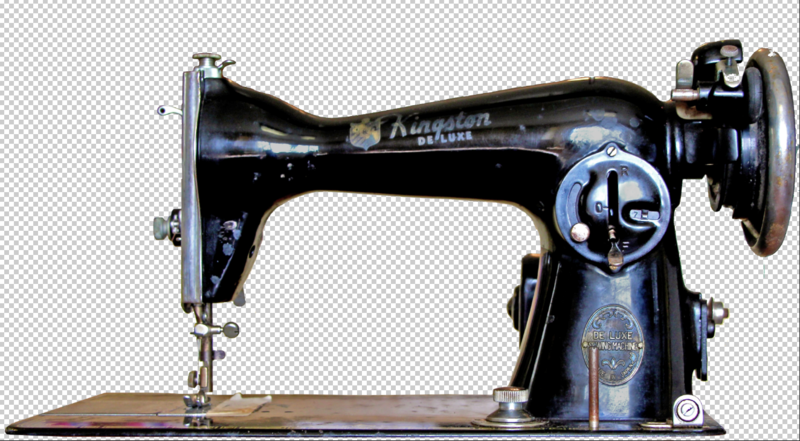 I digitally edited a photograph of the machine in Adobe Photoshop to create my fabric. 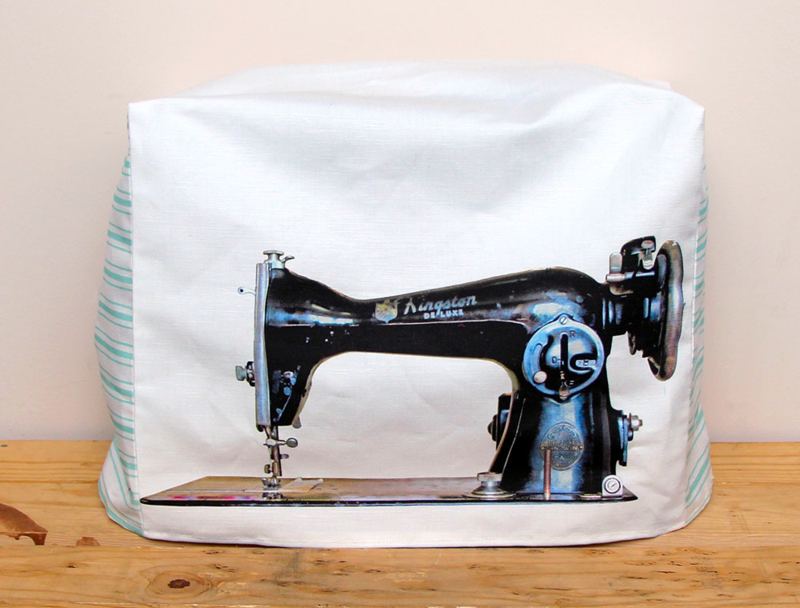 If you photograph your sewing machine with a blank backdrop, it will make cleaning up your image to create your printing file a lot easier. 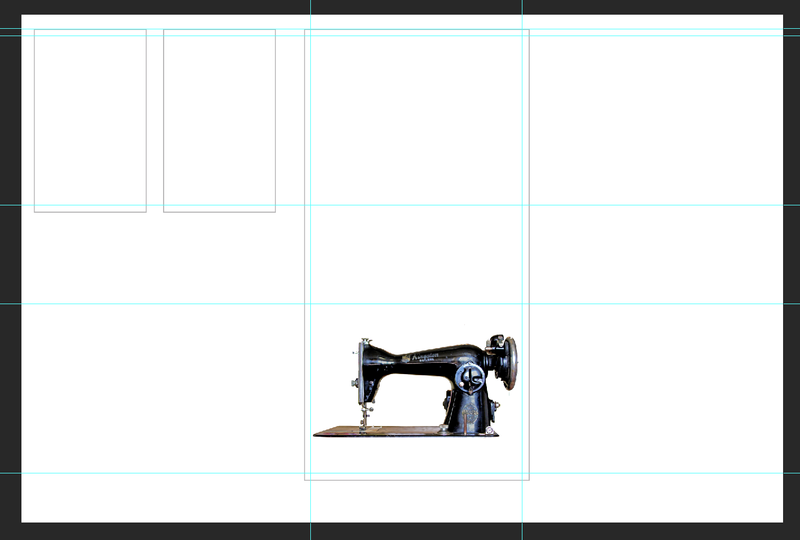 I wanted the front of the machine cover to feature the sewing machine without any of the photo background. 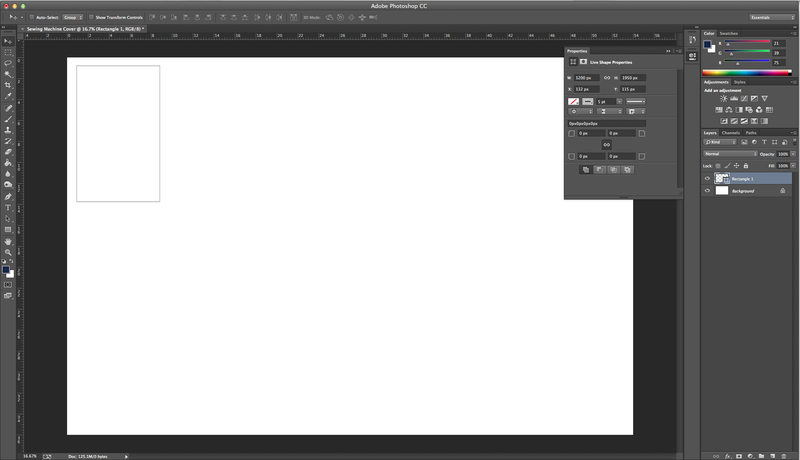 If I had created a blank photo backdrop, it would have been simpler to use the Magic Wand tool in Photoshop. Instead, I used a combination of the Magic Wand and the Eraser tools to clean up the background of my photo. 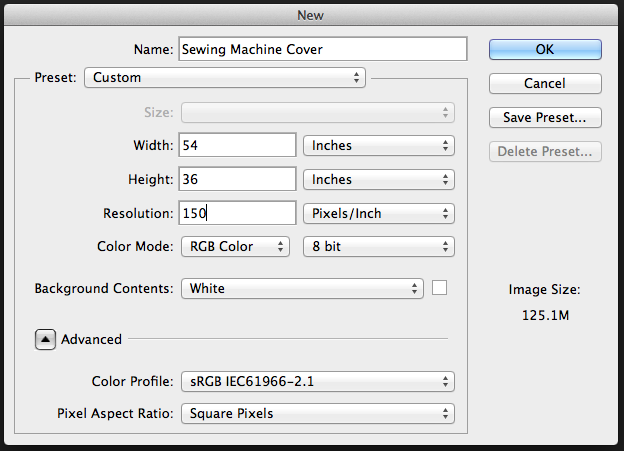 Double click on your background to change the layer from background to layer 0. 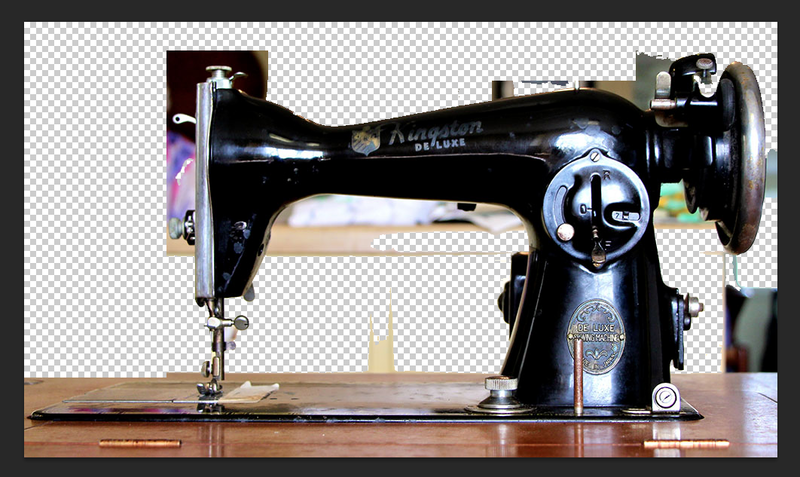 Then, using the Magic Wand you can select areas of the photo and cut them out using control X (or command X on a Mac). After cutting out what I could using the Magic Wand, I then used the Eraser tool to clean up the rest of the image. 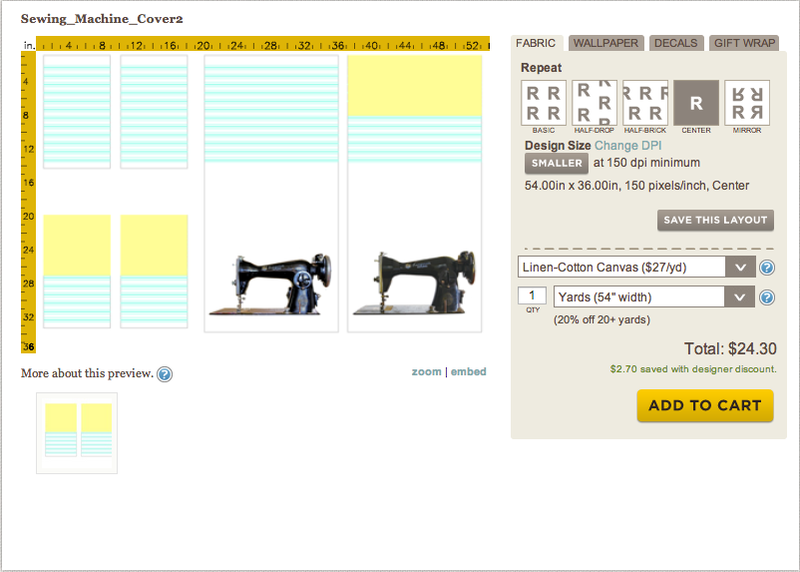 I created a new image that is the printable size of a yard of Spoonflower linen-cotton canvas– 54" x 36". Based on this tutorial and some (not so) scientific sketches, I determined the sizes of my pattern pieces. 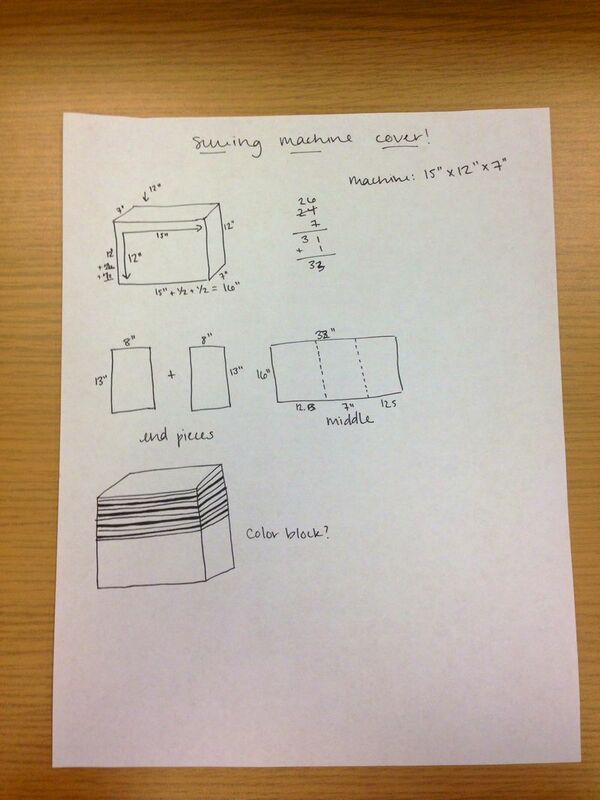 My machine is about 15" x 12" x 7," so I created three pattern pieces as illustrated below. Once I determined the cover size, I used the rectangle tool in Photoshop to create outlines for each piece. 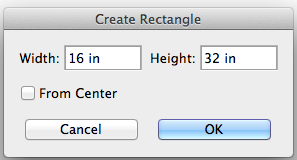 Select the Rectangle tool and double click on your canvas to input specific dimensions and edit the fill color, stroke color and weight. Next I placed my rectangle on the canvas and added all three pattern pieces. I also used guides to show my 1/2" seam allowance to make sure my design stayed inside these lines. To add a guide to your image, make your rulers visible by using command + R and then click in the ruler and drag across your canvas to drop your guide where you would like it. 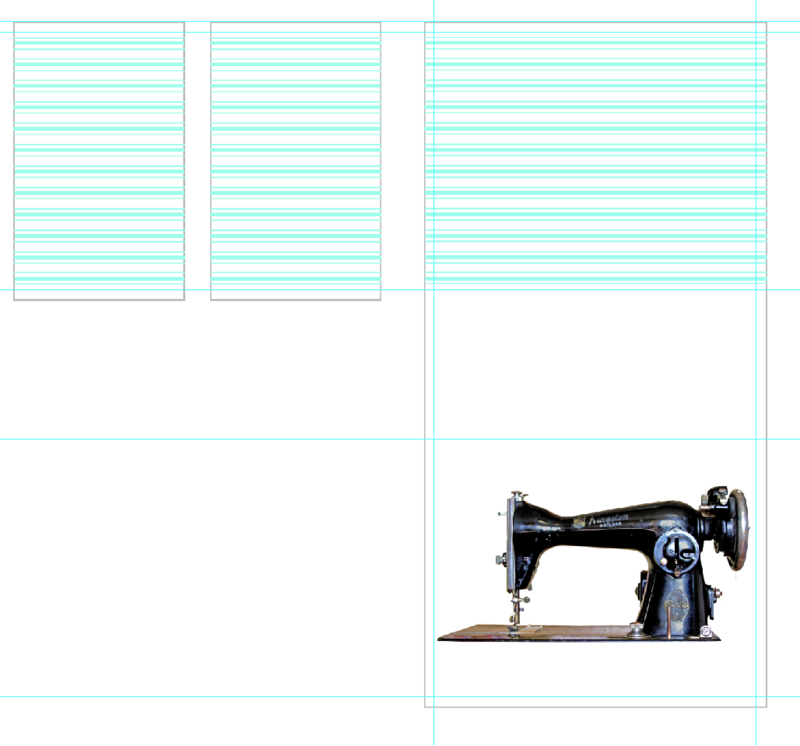 With my sewing machine image open in another window within Photoshop, I selected the entire photo (command A) and copied (command C) and pasted (command V) to the file with my pattern pieces. 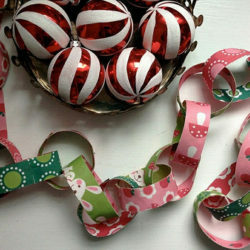 Using the rectangle tool again, I added a stripe design similar to french ticking. Having the pattern pieces side by side in Photoshop allowed me to know the stripes would line up correctly once sewn together. Since I had enough space on my 1 yard canvas, I added a color blocked version and saved my file to upload to Spoonflower. 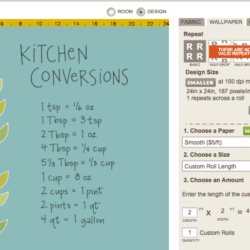 I saved my file as a JPEG and headed to Spoonflower. Under the CREATE tab I chose custom fabric. I selected my final file and hit upload. I selected a yard of Linen-Cotton Canvas for printing. 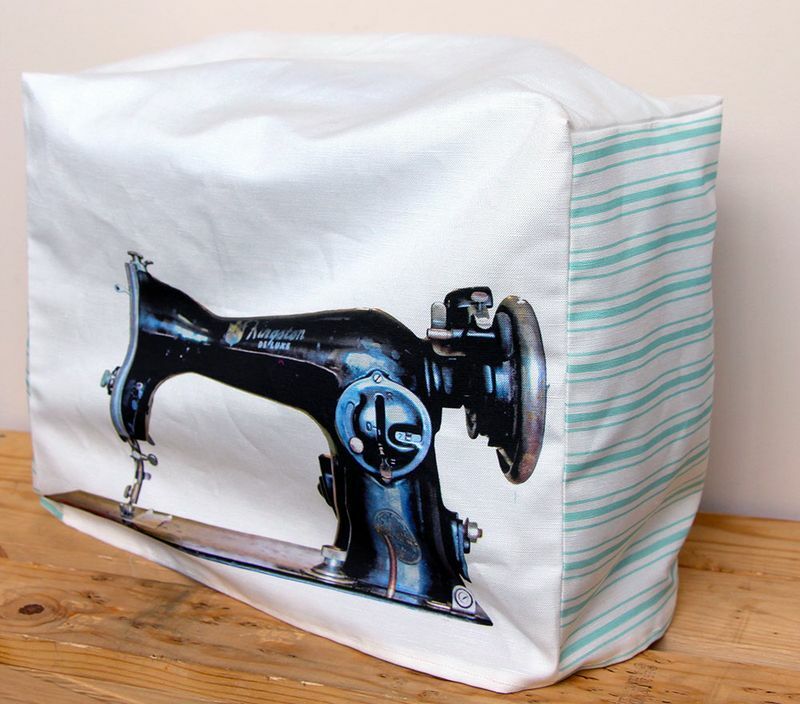 With fabric in hand, I stitched up my super simple sewing machine cover! What special projects are you working on to celebrate the special moms in your life this year? 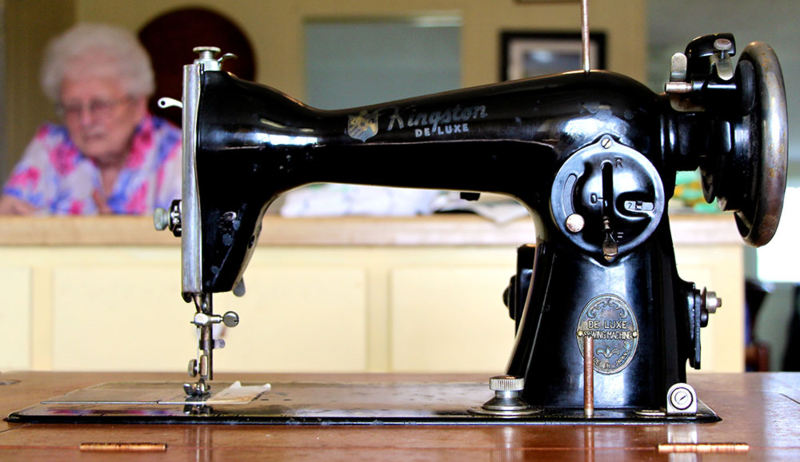 I have used almost all the Brother sewing machines, and have been largely impressed. These machines exude quality and high performance and thus are one of the best names in the sewing machine industry. I learned to sew with my grandma many many years ago on a treadle singer. 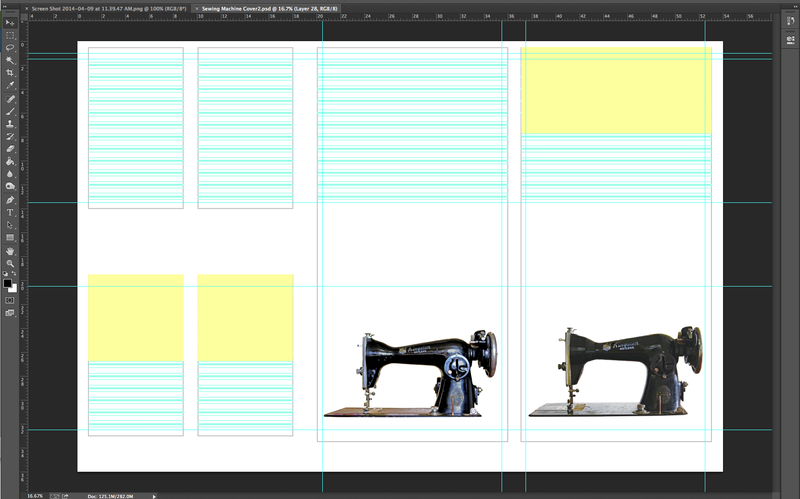 I would love to buy a printed piece of fabric with an antique sewing machine on it to make my own cover. I am not tech savvy, I read your steps and it is beyond me. I understand sometimes people sell their prints on spoonflower, would this be available? Thanks so much for your question! This design can be purchased here! 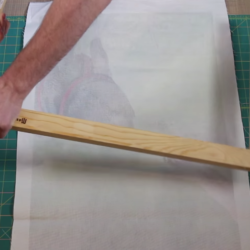 To ensure you receive the full image, please choose the Linen Cotton Canvas or a fabric that is at least 54″ wide!